Free shipping to United States with $50 purchase from Shannybeebo. See item details below for sale terms. 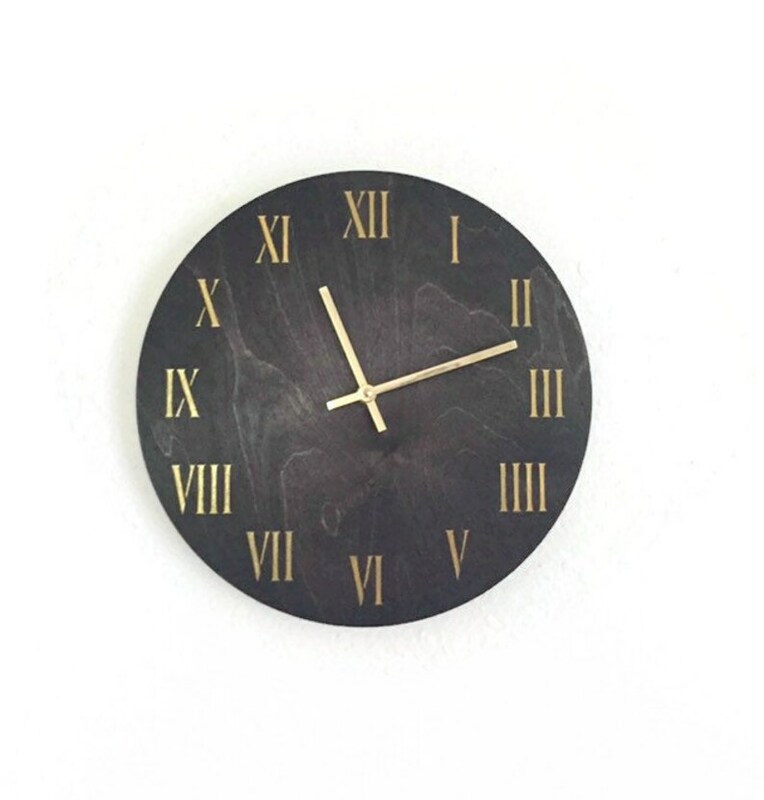 Exuding warmth and beauty, this wooden roman numeral wall clock will make a statement in any space. The gold accents and dark stain of the clock look both modern and storied. Whether you hang this clock in a bedroom, shared space or gift it to someone special, it's sure to please. The gold roman numerals pop against the dark base, making it easy to see the time from a distance. In addition to decorating your home or room, one more important function is timekeeping. It's high-quality quartz movement makes it reliable for accurate timekeeping. This clock is a Shannybeebo Clocks original design and can be customized to fit your personal style. Clock Size: 12" x 1/4"
Assembled with a new clock mechanism. Due to the differences in computer monitors, the colors may vary. Please let me know if you'd like additional photos. See more Shannybeebo Clocks here..